In the United States, and much of the rest of the world, finals season is rapidly approaching. It’s a time where students are preparing for final exams and, hopefully, are well underway on their final projects and papers. 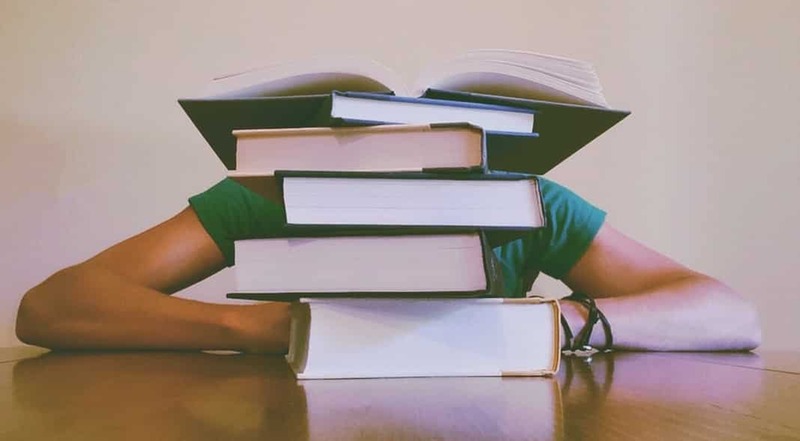 But while this is definitely a time for stress and worry among students, it’s also a time where the temptation to take shortcuts is at its highest and students can be feel compelled to turn to plagiarism to finish their projects. However, even without malice, the chaos of finals season can lead to mistakes and missteps that lead to plagiarized content being in your papers. Without proper precautions, it’s very possible you could find yourself facing accusations of plagiarism. So, it’s worth taking a moment while there’s a bit of calm before the storm to focus on how to avoid plagiarism in your writing and to ensure that your next semester isn’t spent dealing with disciplinary hearings. I’ve touted cleanroom writing before but it bears repeating. When you mix your notes and your writing together, you’re more or less asking for trouble. Never paste any content into your actual document that you do not immediately quote and cite. Keep your notes as separate from your writing as possible and limit your use of copy/paste to when you are deliberately bringing in passages you want to quote or copying words that are difficult to spell. Basically, never mingle your writing with your notes and keep your words separate from what others have said. This not only forces you to paraphrase properly, but it also so that you don’t accidentally leave in un-cited passages that can land you in trouble. Many students prefer to add citations after their done with their work. The problem is, especially with complicated works, i can be easy to omit sources when you’re going back later. The only surefire way to include every source you use is to cite them as you go. Fortunately, most word processing applications, including Google Docs, make this easy to do. Waiting until you’re finished is an easy way to miss citations and find yourself having to explain why some of your citations are missing. If, during your writing, you find yourself with a question or concern about how to cite something or if it needs to be cited all, do not hesitate to speak with your instructor. Your instructor is the ultimate arbiter of what is or is not plagiarism in that classroom and instructors do have varying expectations on their students. So, while speaking to a tutor or a writing coach can help, they can not provide the same guidance as your teachers. Furthermore, speaking with you teachers helps if there is an issue with the final product. If you’ve been in contact with and working with your teacher on citation issues, they’re much less likely to believe that you plagiarized intentionally than if you never communicated at all. If you have questions, ask your teachers, it’s the best thing you can do. If you’re still unsure if your work is correctly cited, consider checking the paper yourself before submitting it. Many schools will allow you to run your paper through their plagiarism detection tools in advance of submission. Failing that, there’s no shortage of plagiarism detection services on the internet that you can run your work through. WriteCheck, for example, is a service provided by Turnitin specifically for students (Disclosure: I am a paid blogger for Turnitin). Similarly, there’s PlagScan, which can also provide a low-cost check for your work and is used by many schools. While checking your work isn’t a perfect solution (you should be confident that a work is plagiarism-free without the need to check it) it can help by providing an outside opinion on the work and let you see what your instructors will likely see when they submit it for a plagiarism check. While the above tips will help you avoid negligent plagiarism, what about avoiding the temptation to intentionally plagiarize? Study after study shows that the top avoidable reasons students plagiarize are because of fear in the quality of their work and poor time-management skills. If you have doubts about your work, get help. Not only speak with your instructor, but also consider getting a writing tutor or a fellow students who can provide feedback. The more eyes and the more input you can get, the stronger your work will likely be. Second, start working your project early and keep working on it as the deadline approaches. Procrastination can put you in an impossible situation where plagiarism can seem like the only choice. If you manage your time well and have confidence in your work, you’re unlikely to be tempted to cheat at all. Obviously there isn’t much anyone can do to help the students who cheat out of laziness or because they simply don’t care. If one can’t be bothered to do the work, there’s really not any helping them avoid plagiarism. But for students who do want to do the work and either commit plagiarism through negligence or because they feel they have no choice, there is hope. Simply being smarter about how you write can go to great lengths to ensure that no plagiarized text appears in your paper. That not only goes a long way to ensuring a good grade, but it, ensures that your academic career won’t be put in jeopardy because of one paper or one project.